1 Combine all of the ingredients in a glass jar, and whisk together until emulsified. (I like to use glass mason jars for this purpose, so you can just screw on the lid and shake well!) 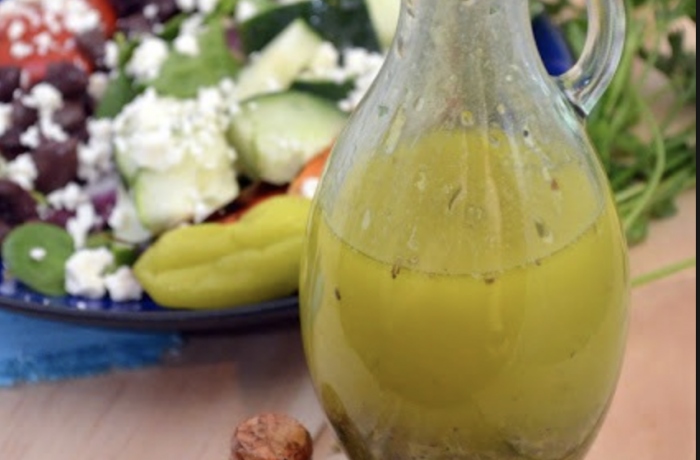 Like most dressings, the flavour will get better as the ingredients meld together, so for best results, wait at least 30 minutes before serving over your favourite salad ingredients. 2 Leftover dressing can be stored in the fridge for up to a week.